Explore Alsace without breaking the bank: ideally situated on the Wine Route, 15 mins from Colmar, 25 mins from Obernai and 45 mins from Strasbourg, the ibis budget Selestat is within easy reach of the region's many tourist attractions: Monkey Mountain, V olerie birds of prey center and chateau du Haut-Koenigsbourg 10 mins away. Other nearby attractions: Ribeauville casino (15 mins) and the Europa Park amusement park (35 mins). Free WIFI and delicious unlimited breakfast buffet at an affordable price! Tres bien. Keep up the good work ! The hotel is very clean and pleasantly decorated. We had a good sized room with a very comfortable bed and well equipped bathroom. Parking was free and the hotel staff were very welcoming and helpful. Good breakfast. We stay every year en route to Italy. It's Ideal for an overnight stop just a short distance from the motorway and only a 5 minute drive to the centre of Selestat. There is ample parking, the rooms are clean the breakfast is excellent value. Good value for the price. Kids liked the hotel. The car was in security and just in front of our window. It was quite. Very nice staff. With Budget Ibis you know what you are getting. We weren't disappointed. Affordable comfort with a value for money breakfast. Supermarket just across the road. Outside terrace with pets allowed. Great stopover en route to Switzerland. A few frills budget hotel that does exactly what it says. Good value, clean and comfortable accommodation on the outskirts of Selestat. The breakfast option was very good and the staff friendly and helpful. As expected the hotel was basic but well kitted out and clean. Arrived late at night on World Cup final day. It was a fantastic day to be in France. The hotel was easy to find. Room was clean and bed fantastic. We slept soundly and awoke refreshed for the next day. The car park was large and gated. The hotel and room was very clean. Fortunately there was air conditioning as it was 28 outside. The hotel was very quiet and staff friendly and helpful. The breakfast was fresh and plentiful. I used the Wi-fi with my phone and iPad and it worked flawlessly. I would stay there again. Room was clean and bed good. Fine breakfast. Only problem was to find the entrence to the parking place. Me and my wife were on a trip with our motor bikes through france. Actually we were heading towards Breisach. However we became caught by a heavy thunderstorm and ran for a shelter while passing Sélestat. 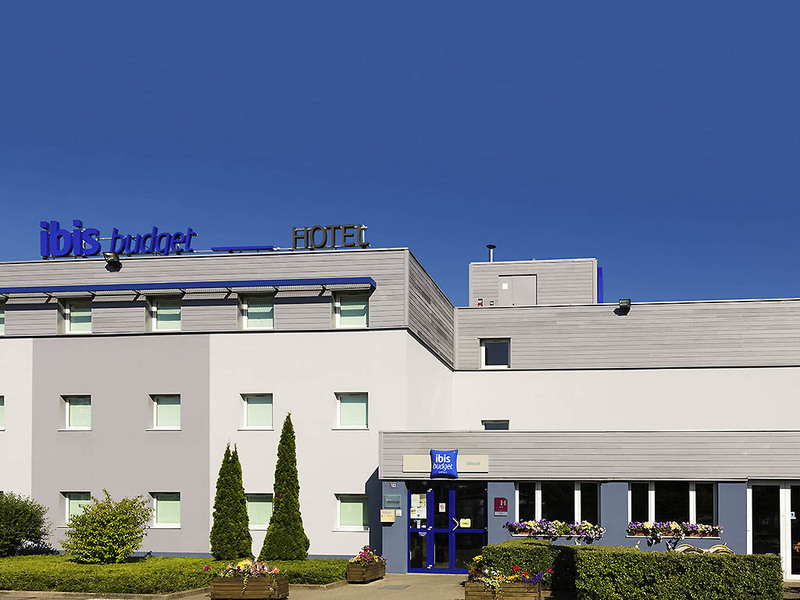 From the weather forecast it looked like it would not stop raining in a short time frame so we looked up hotels in Sélestat and were pretty happy to find an Ibis hotel as me and my wife are usually looking for an Ibis whenever we are away from home. So being happy I found the hotel, I called the phone number provided by Google. I got connected to a friendly lady who happyily could book a reservation for me. She provided me with the registration confirmation and we started our short trip through the still heavy rain to the hotel. When we arrived at the destination address at about 10pm (22:00h), we got stopped by a gate which we needed a code for to open it. So my wife was waiting in the heavy rain looking after the motor bikes and I went inside to check in on the check-in machine. Luckily, the machine found my reservation but, did not accept my credit card. After it did not accept the card after the second attempt, I tried it also with all my other cards. None of them got accepted. It said Card can not be accepted due to technical issues. In the meantime, some other guests arrived at the hotel and opened the gate so at least my wife could park both motor bikes and joined me in my attempts to persuade that machine to provide me with a room number and an access code. Of course due to being completely soaked, I kind of lost my patience more and more. Since that machine was still unwillingly to be friendly with me, my wife took over and tried her luck. Unfortunately, the machine also refused all of her cards spitting the same error message over and over again. Meanwhile another guest arrived and tried to check-in. Interesting was, the machine did not even find his reservation so he was also unable to check in. Ok so we thought what's next and found this very small information sheet which provided instructions on what to do if the check in machine is on strike. So basically the first instruction was: Don't Panic. Yeah! I tried a little bit of Yoga just not to panic. Ok, next instruction was get outside and ring the emergency bell located next to the mailbox. Well,.. I had no other chance, so I went back outside and rang the bell once ,... no answer ,... twice ,.. no answer ,.. three times, four times,... 100 times ,.. no answer. Tried one more for god sake, but still nobody answered my call. Is this what &quot;Emergency Bell&quot; stands for? A button that can be pushed but with no one actually reacting on it? Customer Satisfaction is way different than that, that's for sure. Now, being completely soaked again I stepped back inside and noticed the other guest was already calling the phone line of the hotel and just when he had someone on the phone, a person from the reception showed up. Finally! We gave him our reservation confirmation and he asked us to come inside and check in at the reception. He opened up the roller shutter and found pretty quick that the internet was down. Due to this issue, it was also impossible to pay the bill at the reception desk. He provided us with a room number and gave us the option to pay the bill on the next day. Finally about 1.5 hours after arriving, we were checked in and had a room. And now guess what ,.. the TV was not working ,.. Next day, we paid the bill had some breakfast and continued our trip. This was most likely the last time I booked Ibis Budget. Overall satisfaction - Fail!